Back in stock! The FLASHCATS story on DVD! "Ladies & Gentlemen, Sweet Pete"
From an odd ad in the newspaper to the stages of Los Angeles, Sweet Pete talks about life with the band, the fans, Bull Moose Jackson and those wild and wacky years onstage with The Flashcats. 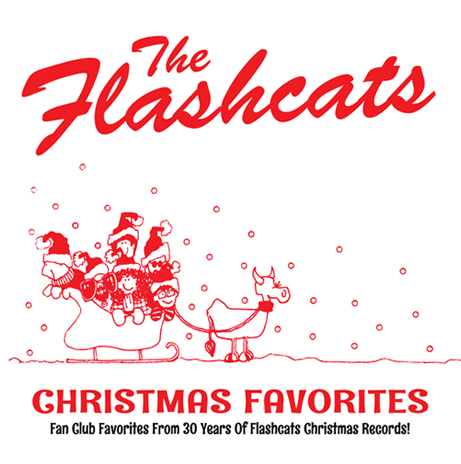 A 14-song collection of Fan Club favorites from three decades of Flashcat Christmas Records! Fun rockin' songs... to touching ballads. Sing-along with The Flashcats this Christmas! 30 Years! 100 Songs! 4 CDs! ALL your favorites (and we mean it! 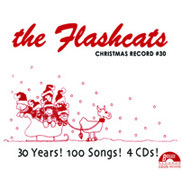 ), plus 2 brand new songs in this fabulous Flashcat Christmas celebration! It's our 29th Christmas Record! Three brand new songs, plus a handful of other favorites! "Wii Wish You A Merry Christmas!" ever available as a download! "The Christmas Dance" Who knew Santa was such a romantic?! 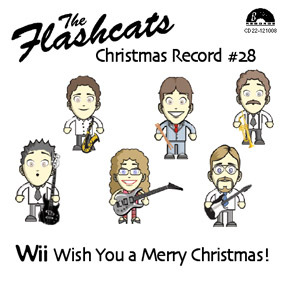 Who knew The Flashcats would still be creating such wonderful Christmas music?! "Hey Santa!" 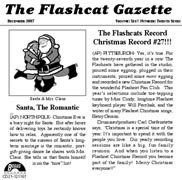 Check out what Santa and The Flashcats have been up to this holiday season! 25, 25, 25 Great Years! 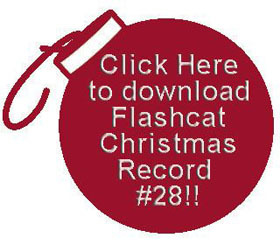 The Flashcats are at it again with their monumental 25th annual Christmas Record! Merry Christmas, Merry Christmas! We've noticed that a lot of stores and ads can't say that anymore... 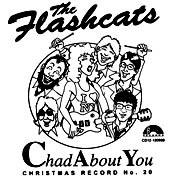 But we can: "Merry Christmas" from The Flashcats! Must Be Christmas, Let's Eat! 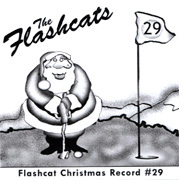 The Flashcats contine to spread holiday cheer with their annual Christmas Record. This year's release is sure to delight children of all ages! Has it really been 22 years? The 'Cats keep putting out great songs to celebrate the season, and this year is no exception. Don't miss these 5 holiday gems. It's "Our Christmas Wish For You"! 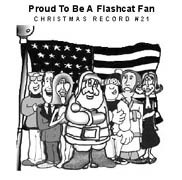 Four brand new Flashcat Christmas songs mark 21 years of Christmas records from Pittsburgh's most fan-friendly band The Flashcats! Proud to Be a Flashcat Fan makes us want to stand up and cheer! 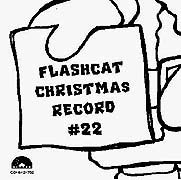 Twenty years of Flashcat Christmas records! Says band producer and drummer, Carl M. Grefenstette, "Some folks joined the Fan Club in 1980, and now, after 2 decades, they're still getting a yearly Christmas Record. Thank heavens they were able to punch out the right chad back in `80!" This collection yields three new Christmas songs from the 'Cats, as well as several favorites from years past. Don't miss it! remember recording! 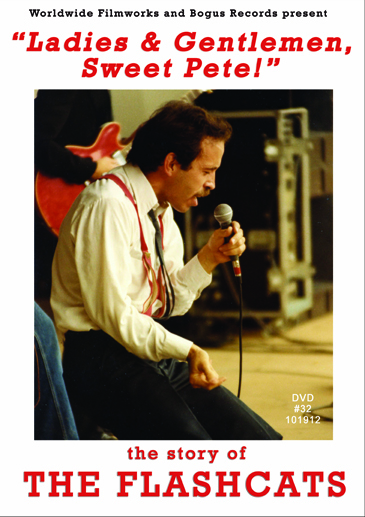 Includes the wild sing-along Get Offa My Car, plus the song that led to the historic relationship with Bull Moose Jackson, Nosey Joe, and more!! Christmas just isn't Christmas unless you can sing along with the likes of "I Wanna Be Santa's Present," or "Milk & Cookies." 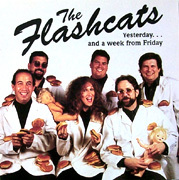 This CD is a 26-song collection of new and old Flashcat Fan Club Releases. "We started the Christmas Record in 1981 as a 'thank-you' to the Fan Club," say the 'Cats. "Little did any of us realize that it would become a Christmas tradition lasting decades." Bogus Records' first CD release. You've heard them for years on the Dr. Demento Christmas show. 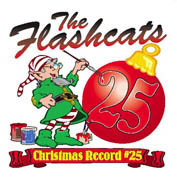 Since 1980 THE FLASHCATS have recorded a Fan Club Christmas Record (actually 45's for the first 5 years, cassettes since 1986). 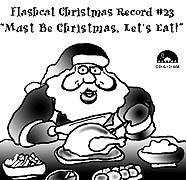 22 FLASHCAT Christmas songs ... a couple are really beautiful ... most are really wacky ... several are mini rock-operas. 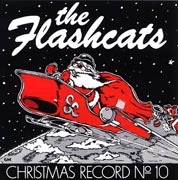 Your Christmas collection isn't complete without THE FLASHCATS CHRISTMAS RECORD #10! A six song EP described by the Detroit Monitor as "some of the best juke-joint music in America today." Music News magazine called it "The finest independently released album of 1982!" Trouser Press said, "The LP is chock full of Mid-'60s type R&B so good you'd swear the tunes weren't originals." This fabulous cassette collection contains all your favorite Flashcats hits up through the availability of CD technology, including two songs that aren't available on any other recording! Written and recorded in those 6-or-7-Gigs-a-Week days, this 7" highlights the `Cats extraordinary ability to write songs you'd swear you already knew! You all know and love the hit single penned by Miss Cindy, Appetite for Love. 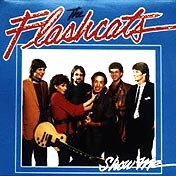 The flip side of this record contains the Bull Moose Jackson song that led the Flashcats to their historic relationship with Moose. One of The Flashcats' sexiest singles, written by one of The Flashcats' sexiest members! It'll take you right back to wherever you were the last time you heard it. 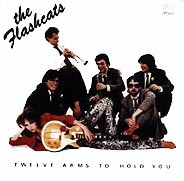 The Flashcats very first single. "...the kind of good time soul music that would have topped Mad Mike's or Porky's charts in the 60s and still sounds good now." And don't forget the other fabulous C HRI S TMA S REL E ASE S!! 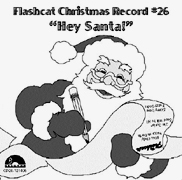 30 Years of Flashcat Christmas Records! Visit the Flashcats Web site!